The coin appears as the inaugural issue in a new two-year series from the Perth Mint to feature Disney Characters. Subsequent releases will be offered in intervals. This coin, like other program strikes, is composed of one ounce of 99.9% pure silver. 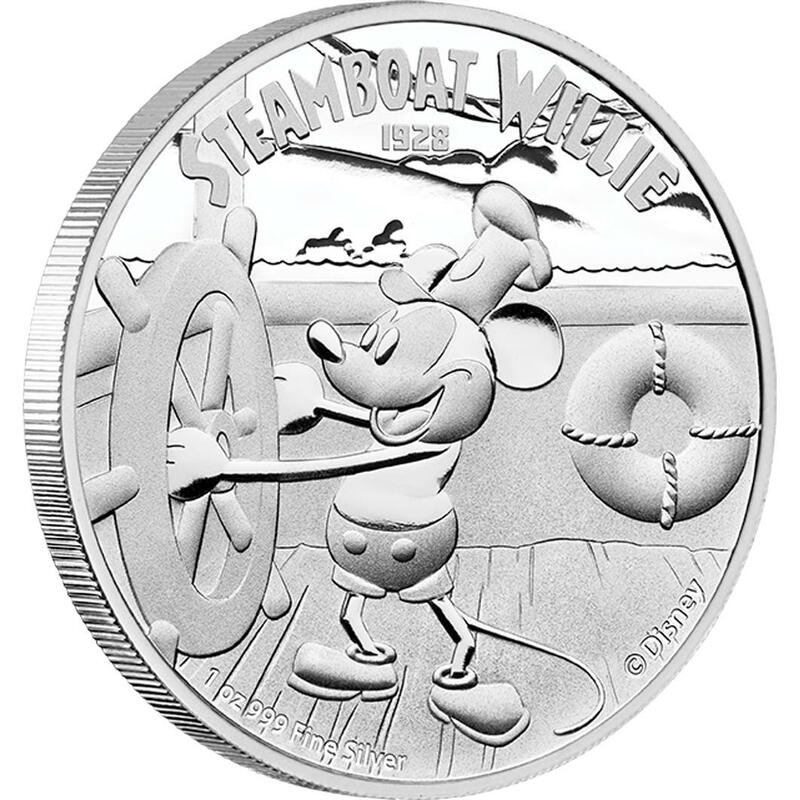 "Each magical release portrays a scene from Disney's Steamboat Willie – an animated film released in New York on 18 November 1928 which received widespread acclaim for its innovation and debut of Mickey Mouse," describes the Perth Mint of Australia website. The reverse image shows Mickey Mouse at the helm of his ship. 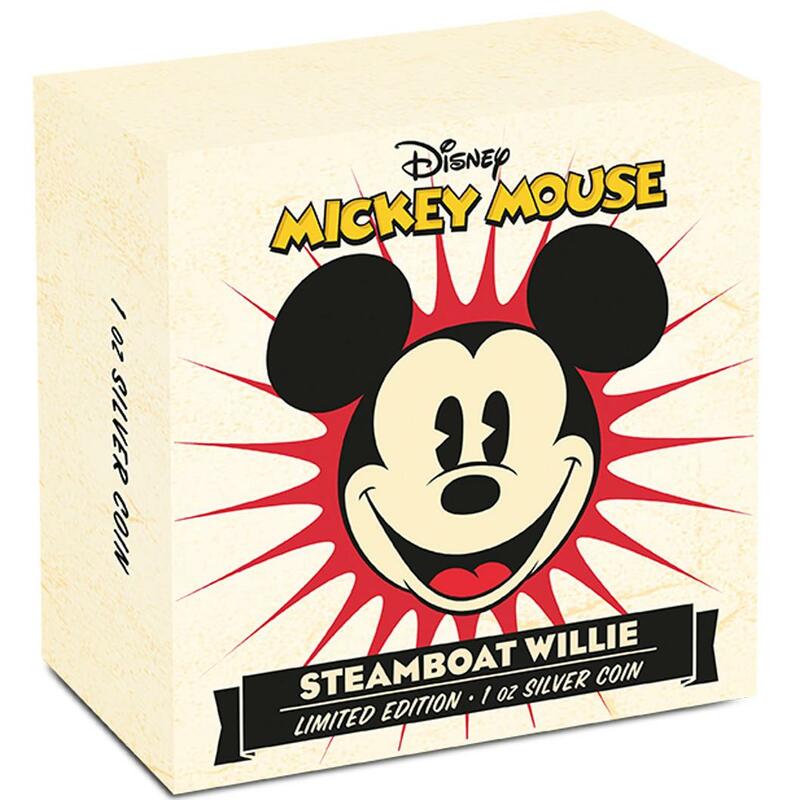 Inscriptions include "STEAMBOAT WILLIE," "1928," "1 oz 999 FINE SILVER" and "©DISNEY." Each is struck under official license of Disney and issued by the New Zealand Mint as legal tender of the South Pacific island nation of Niue. 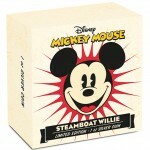 Each ships in a classic wooden presentation case with a colored, vintage-style shipper featuring an image of Mickey Mouse. Pricing of the coin is currently AUS $102.27 (US $94.67), but is subject to change. Mintage is limited to only 10,000. 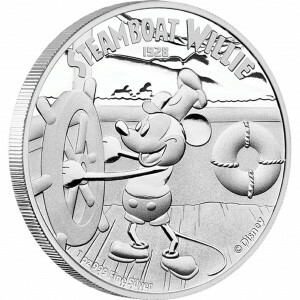 The Steamboat Willie Silver Proof Coin may be ordered directly from the Perth Mint. 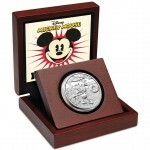 An affiliate link is offered here to the Perth Mint's Disney Coins page.